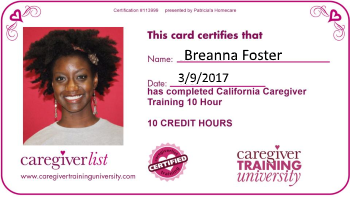 Caregiverlist provides the nation’s only professional senior caregiver Career Center and senior care companies hire multiple senior caregivers and C.N.A.’s each week to fill their open positions. Companion caregiving positions assist seniors who may have memory loss or difficulties with Activities of Daily Living and Certified Nursing Aides assist with hands-on care needs such as bathing, dressing and toileting. Refer-a-friend to Caregiverlist and get entered to win a free t-shirt, lapel pin and 8-hour online caregiver training program as a member of the Professional Association of Caregivers. A new winner is drawn weekly. One monthly GRAND PRIZE WINNER receives a Scrub of the Month (top, bottoms and pair of shoes), courtesy of Scrubs Magazine.